The colorful aprons in the shops are gorgeous, but expensive. 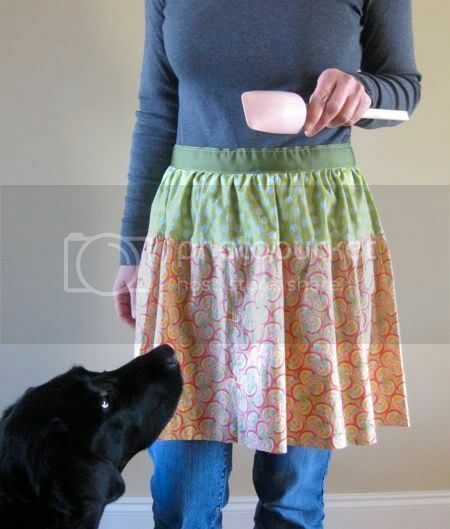 With this tutorial, a super cute & easy apron can be whipped up in less thirty minutes. First, if you don't already have a skirt, hit Goodwill. I picked this one up for $3. 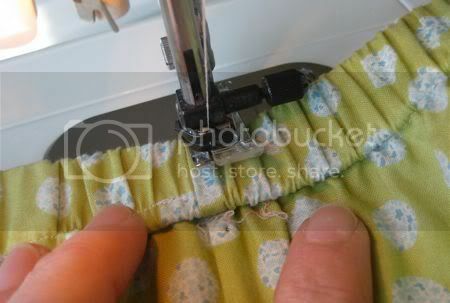 For an easier apron, find a skirt with a regular waistband and a zipper in the back. This one has elastic in the waistband. So, before cutting, I reinforced on both sides of the seam. Your next step is to cut straight up the back middle seam. 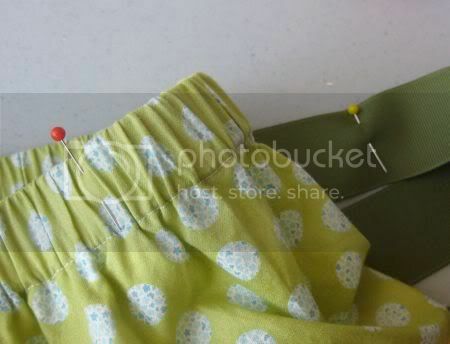 If the skirt has a zipper, just cut an inch or so away from the zipper. If you look back at the first picture, the skirt is pretty long. So I cut the bottom off about 2" above the pink band. After cutting, turn the ends under about 1/4" and baste. 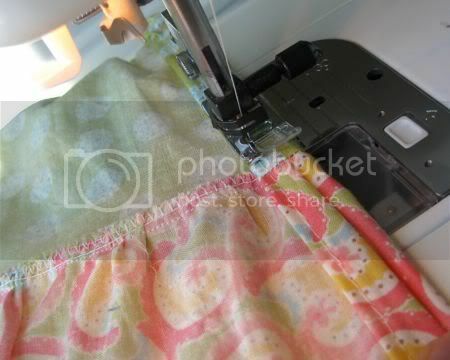 Turn again and make your final side seam. 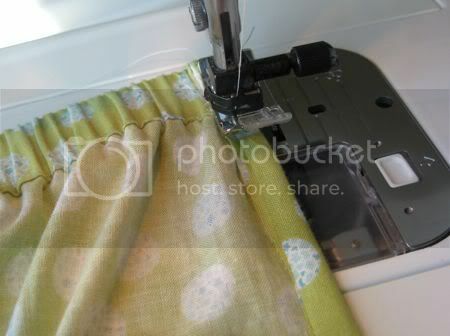 Next I cut ribbon to the width of the skirt plus about 3 feet. 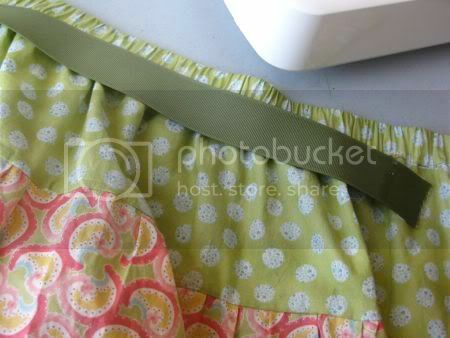 (If your skirt does NOT have an elastic waistband and you want the SUPER easy route, just cut two pieces of 1.5 foot ribbon. Mark the halfway point on both the ribbon and skirt waistband. Now that was pretty easy, wasn't it? Stay tuned to learn how to add the top just as quickly. Then head back for part 2.
there are so many gorgeous fabrics out there. i tried quilting and clothing, but i just don't have the talent for it. 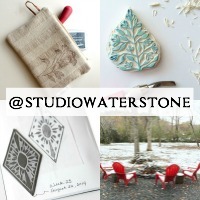 Found you on Etsy & just wanted to stop by & say Hi. Great tutorial, can't wait to try this! Thanks! 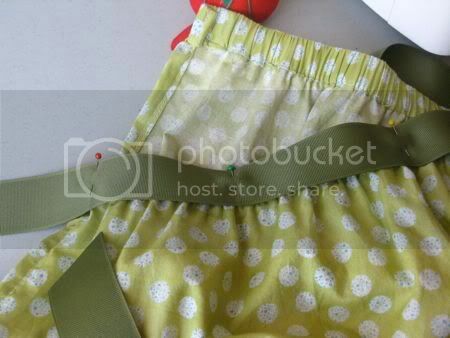 I love making recycled things especially aprons. 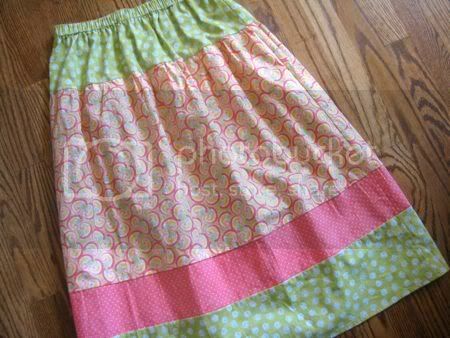 I have made many out of skirts.. Cute Cute Cute... although I have no idea why you wouldn't want to keep the skirt and wear it as is. HA! ☺ Great tutorial! yeah, Wendy, I could really work that skirt. I kinda liked the skirt as is... why is everybody hate'n? I'm sure it's cuter as an apron though!